Apple Watch is grabbing attention with an amazing feature of detecting common heart issues. According to the report given by the Heart Rhythm Society, Apple Watch observes heart ailments with an unlikely accuracy of 97%. Apple Watch comes with a number of competitors one of them being the Fitbit smartwatch. Fitbit is primarily known for its wearables and does have what it takes to compete with Apple Wtach. But you must know if this Apple wear is worth you. Many people suffer from a heart disease named Atrial Fibrillation, which is difficult to detect without symptoms. Cardiogram, being a heart rate monitor app in Apple Watch observes Heart ailments and is successful in recruiting more than 6000 participants. From past one year, the app has been successful in diagnosing more than 200 people suffering from Atrial Fibrillation. Brandon Ballinger, the co-founder of the company states that cardiogram engineers have utilized this data to train an algorithm that further enables in predicting Afib. Atrial Fibrillation is a disease that happens when two upper chambers of the heart don’t beat in sync with lower chambers. In simple terms, this is a disease caused by an irregular heartbeat. The condition is the main cause behind many diseases like heart diseases, kidney diseases, dementia, etc. explains Greg Marcus, a professor at UCSF running a Health eHeart Study center. There are some common symptoms like shortness of breath, heart palpitation etc. which are seen in people. But sometimes, they don’t show any symptom/sign at all. Due to lack of symptoms, it becomes really hard to detect irregularities. The doctor after detecting the disease sends the patients to various monitoring sensors like Zio Patch and LifeWatch. Marcus says that the treatment takes a couple of weeks, whereas, another option is to go for implantable devices like Medtronic’s Linq but they are quite persistent in nature. 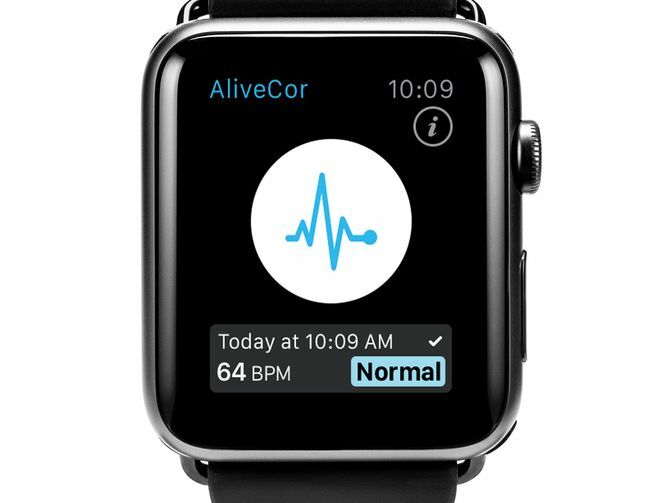 The app built in the watch helps the user to continuously observe the heart rate without any additional requirement. Marcus took the first step of detecting the heart rate and now is working on the set of algorithm for diagnosis of Atrial Fibrillation. This set of the algorithm is very useful for the screen, but for diagnosis, confirmation with the use of Conventional EKG is required. Apple Watch is surely a miracle for heart patients as Apple Watch observes heart ailments and is further helping people to discover any irregularity using Cardiogram app. So, make an investment and get rid of casual irregularities beforehand.